MOSCOW, August 10. /TASS/. 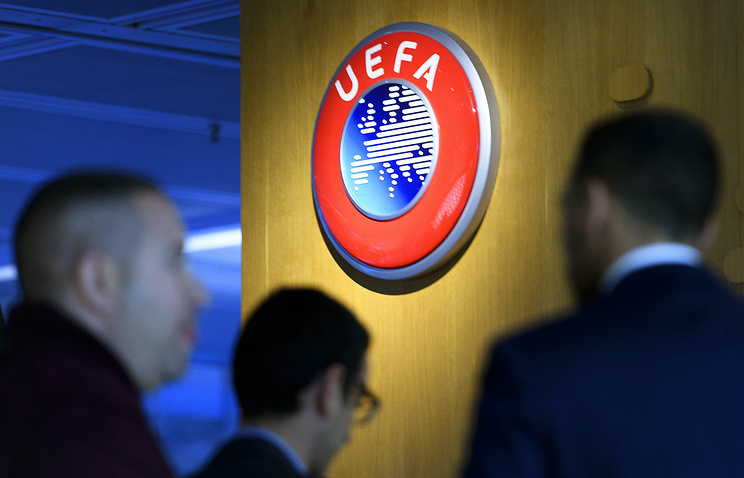 The Union of European Football Associations (UEFA) has decided against opening a probe into numerous reports on an alleged assault on Russian journalists at the UEFA Champions League match in Greek’s Thessaloniki on Wednesday. Russia’s Spartak Moscow FC played on Wednesday its away match against PAOK FC as part of the third round of the qualifications stage of the UEFA Champions League. Russian journalists working at the match reported on their social media accounts that they had been attacked by PAOK’s fans before the match at an entrance to media tribune of the Toumba Stadium. "With regard to the alleged incident relating to Russian journalists, no sufficient grounds or evidence have been presented in the official reports to allow for the opening of an investigation or to instigate disciplinary proceedings," the UEFA press service said in a statement addressed to TASS. According to Russian journalists, security and stewards, responsible for safety at the sports facility, were inactive as Greek football fans assaulted them. PAOK FC press service later denied the allegations saying that a minor scuffle took place but had been immediately thwarted with the help of security officers. Acting President of the Russian Football Union (RFU) Alexander Alayev told TASS on Thursday that the "The RFU launched its own probe into the incident and plans to turn to the UEFA to request a thorough investigation and make sure that all responsible are punished." The press service of Spartak FC said in a statement also on Thursday that the Russian club hoped for the Greek authorities as well as the UEFA to hold an unbiased probe into the incident involving PAOK FC fans and Russian journalists. PAOK FC edged Russia’s Spartak Moscow FC 3-2 on Wednesday at the 29,000-seat capacity Toumba Stadium. The return match of the Champions League qualifying stage between PAOK and Spartak will be held at the over 45,000-seat capacity Spartak Arena in Moscow on August 14.